The section Coronary Vascular System aims to advance the understanding of underlying mechanisms and treatment of coronary artery disease and its risk factors, as well as coronary artery disease prevention. The section Coronary Vascular System aims to advance the understanding of underlying mechanisms and treatment of coronary artery disease and its risk factors, as well as coronary artery disease prevention in order to reduce myocardial infarction and subsequent clinical sequelae, such as angina, ventricular tachyarrhythmias, cardiac arrest and congestive heart failure. The section Coronary Vascular System welcomes submissions of original research papers covering important areas from disease mechanisms to clinical trials, as well as review articles, and case reports on medical and interventional therapy of coronary artery disease. It covers acute coronary cardiology (acute coronary syndromes, myocardial ischemia and related complications), general coronary cardiology (clinically relevant mechanisms of coronary artery disease and atherothrombosis, long-term outcomes after coronary interventions, application of new therapeutics), interventional coronary cardiology (percutaneaous coronary interventions, application of new therapeutic or diagnostic devices and approaches, coronary imaging, and physiological evaluation) and preventive coronary cardiology (modalities affecting primary and secondary prevention of coronary artery disease, diagnostic application of coronary risk markers, identification of new diagnostic tools including biomarkers). The Editors particularly invite manuscripts that aim to help improving patient care or coronary artery disease prevention. Design articles of clinical trials are also welcome. Although the section Coronary Vascular System primarily aims to publish manuscripts on human studies and clinical trials, manuscripts reporting results of preclinical and experimental studies that are related to coronary atherosclerosis and its risk factors, or atherosclerosis prevention will be considered as long as they advance the understanding of the pathophysiology of coronary artery disease and its sequelae. With their manuscript, authors should submit a cover letter clearly stating what is novel about their work, and why it matters to patients. The article will then enter a rapid but careful collaborative review process. Reviewers, who endorsed publication and handling Editors names will be published together with an accepted article. 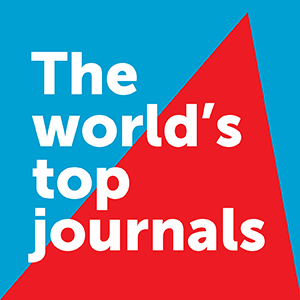 The Editors also request that prospective organizers of Frontiers Research Topics in Coronary Vascular System (article collections on an area of particular medical or scientific interest in the field, edited by a Guest Editor) to provide the Editorial Office with their CV, and clarify in the proposal how their clinical and/or research expertise qualifies them to organize a Research Topic on that particular subject.